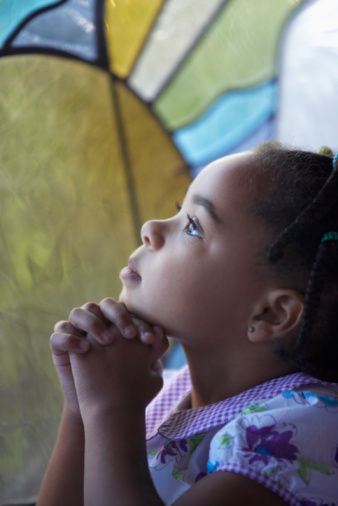 Righteous Chapel offers Sunday school and Bible study for all ages. Please come & hear the word of God thru powerful sermons during our regular Church Worship services. (Sunday morning worship service starts @ 11:00 am). (Sunday School @ 10:00am) (Prayer – Thursday, @ 6:00pm), (Bible Study/Thursday @ 7pm). We provide assistance with counseling and budgeting, crisis intervention, programs targeting homeless individuals & persons with a disability, resource referrals/linkages for all. We also provide Youth Tutoring, Mentoring, Free Counseling, and homework assistance too. Please call to inquire about our afterschool program! 2 Timothy 2:15 says Study and show yourself approved unto God, a workman that needs not to be ashamed, rightly dividing the word of truth. Everyone is welcome to join us Thursday evening for Prayer. It is essential for a fruitful Christian life. Group prayer is powerful and provides accountability. Please feel free to join us for bible study and weekly prayer to stay grounded and continue to grow in Christ. Our goal is to understand how to live daily in the light or God’s glory and His Word. It is our desire to provide an ongoing service of fellowship through praise and worship, teaching and preaching of the Holy Bible to enhance spiritual growth. 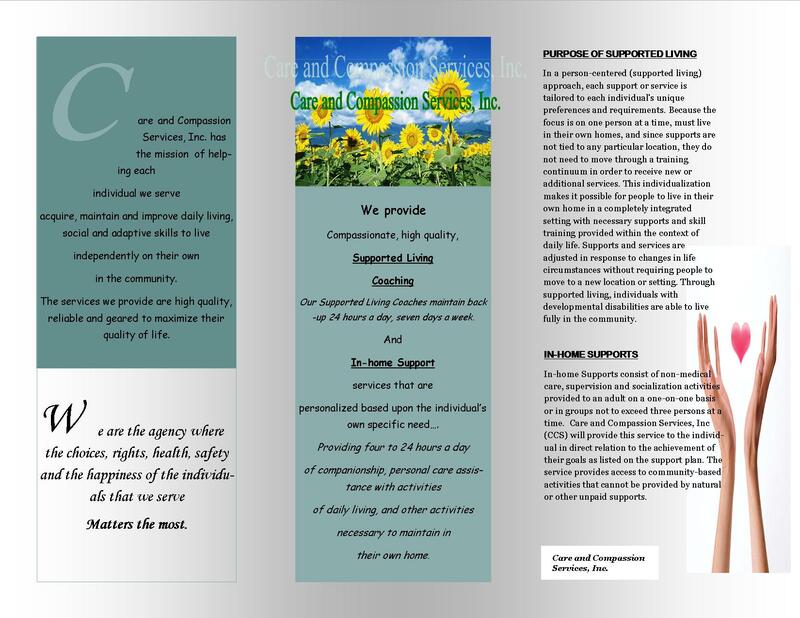 Care and Compassion Services, Inc. A Supported Living Agency serving people with disabilities. Helping to make dreams come true!